This view of "Portage Village" really is Portageville in the Town of Genesee Falls, Wyoming County. This small community is found just south of the Park. The view was taken from the hillside west of the village. The Genesee River is seen on the the left of the view (see the enlarge view below) and the Genesee Valley Canal can be glimpsed in the center of the "canal port". Three churches and other buildings can be seen along with rustic fences enclosing the cleared fields. 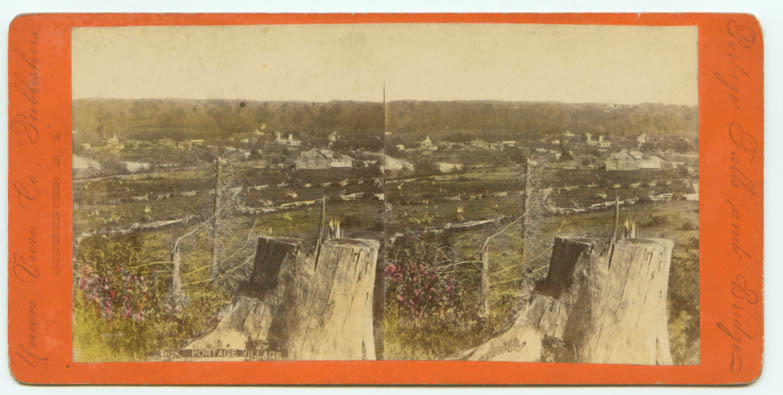 The hand coloring is quite impressive on this stereoview. The view is copied from a view taken by C.W. Woodward and bears his original title and numbering. Such "copyviews" were common during the heyday of the stereoviews. 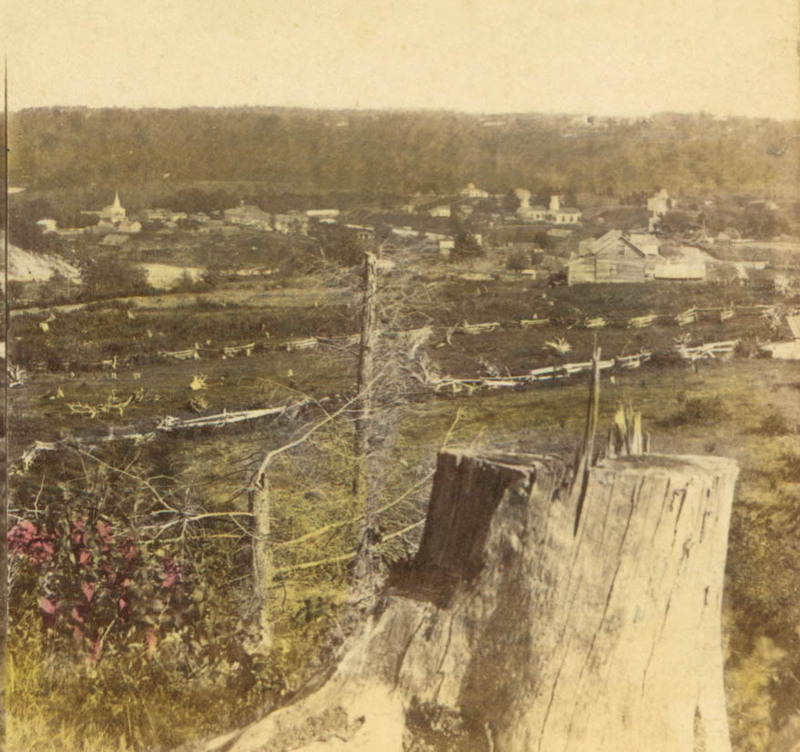 See image 128 for a view of Portageville taken from the east.